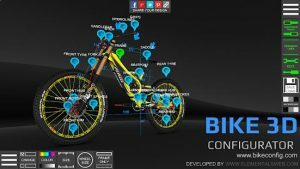 Project Bike 3d Configurator is created so that you can build your existing or future bike with modern technology and 3D graphics. Bike customization has never been so quick and easy – change components, experiment with colors, see how suspension works, show your friends, create the bike of your dream! In the future, we see the project as an online shop or service with which you can easily build and then purchase your bike. We also have plans to add other types of bikes, more hardtail, dirt, dh, cross country bikes, road and city bikes. You can now view your dream bike in gorgeous augmented reality. If your device is compatible with AR, you can switch between 3D mode and Augmented Reality mode on the fly. Walk around your bike, view it from all angles and in real-life like size! This is the true future of shopping. We make option to paint the components that might be painted by custom colors: bike frames, wheel hubs, spokes, hydrolines, rims, grips, pedals, stems, handlebars. For such components as: bike forks, tyres, headsets, brakes, saddles, chain guides, brake rotors, shocks, derailleurs, cassettes, we leave only those colors that provided by the manufacturer. If you want to see your bike in our configurator, please vote on the project page for a new frame or fork you’d like to see in the future updates. The project is free for everyone, however it’s future depends directly on your help. 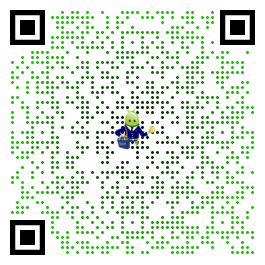 So please share an app and your own design with your friends, this is the best contribution you can make for this project. Another way to help us is to leave your feedback on Google Play. Really impressed and pleasantly surprised at the attention to detail. Great work and excited for more! Good features Obviously some hard work has gone into this App already so thank you. However I agree with others that in order to rate it 5 stars then more bike brands need to be added.